Each Monday night the Rotary Club of Cohasset has a speaker. Speakers may educate, entertain or present a mission that they wish to have funding for. 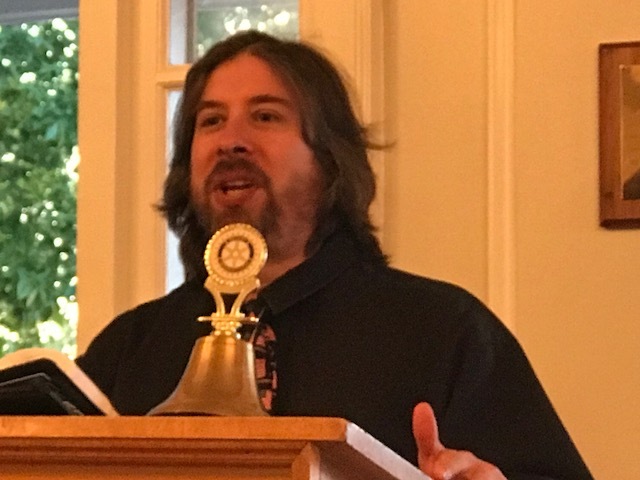 Tonight's speaker was comedian Eric Golub who entertains for a living then gives back by donating his time across the country by performing for non-profits like Rotary Clubs. Thank you Eric for your entertainment traveling from the West Coast to Boston.